Mac cleaning applications have proven to become irreplaceable companions for many Apple computer users. However, finding the app that lives up to expectations may take too much of users’ time. Striving to help you make the right choice, today we’re taking a look at Koingo’s MacCleanse software. MacCleanse for Mac is packed with familiar functionality and promises to deliver on all of it. It comes in various versions, namely MacCleanse 3, 4, 5, 6, 7, though earlier ones have been discontinued in favor of the 7. Let’s see whether MacCleanse is worth it. Kiongo Software has included everything you’d expect from a maintenance application. 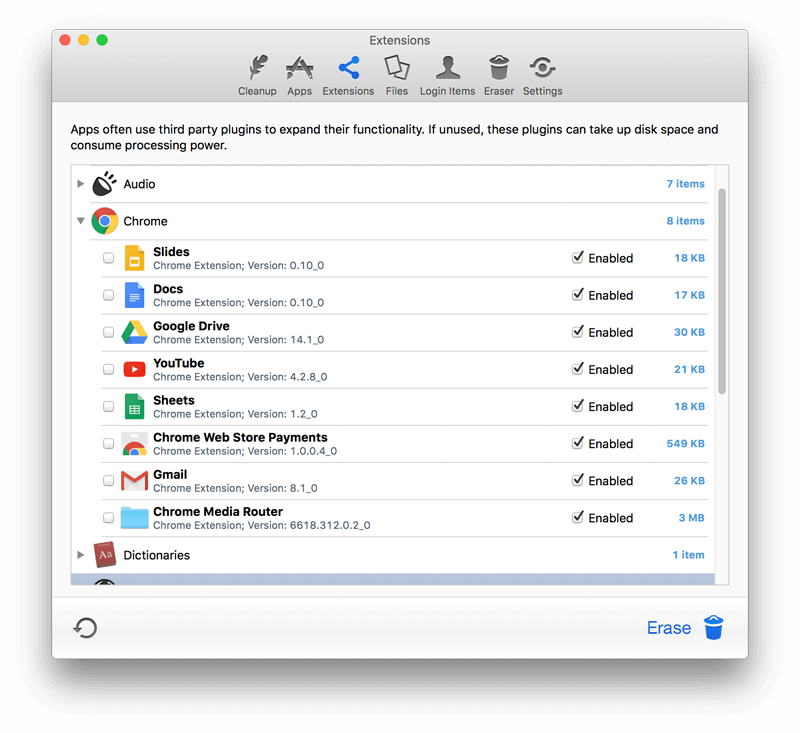 MacCleanse is capable of cleaning logs, caches, deleting apps, finding duplicates, managing extensions, login items and shredding trashed data. While these features are not uncommon for cleaning apps and can be found in competitor software, it’s how they work that matters. When you first start the app, MacCleanse lets you set up you scan preferences. Unless you know what you are going for, it is recommended to keep settings at Normal. However, later down the road, it is best to create custom settings. The ability to do that is what sets MacCleanse apart from the competition as you can practically adjust everything down to the last detail. Upon running your first scan, you are given another opportunity to pick what is to be removed. Even if you choose to trust the default selection, having such a setting is always good to have. MacCleanse Apps section houses the functionality for clearing binaries, unused language packs, and leftover files. Realistically speaking, you will probably only use these once. However, the Uninstall module will come in handy. It allows to completely remove an application along with its logs, caches and other data. Extensions section is best used for finding and managing all browser extensions in one app, yet it does not offer any unique functions that cannot be found in the browser settings. The same goes for Login Items section, which is basically a reskinned macOS setting found in System Preferences –> Users & Groups –> Login Items. Regardless, both of these are nice to have in an easier-to-access form. Another notable feature of MacCleanse is Duplicates found under the Files section of the application. MacCleanse is definitely not pioneering the feature but puts a slightly different spin on it by offering match settings. In other words, by checking the boxes, you can set preferred matching setting whether it is by size, creation date or name. MacCleanse Not Working: What to Do? Unfortunately, decent features and settings selection are somewhat spoiled by MacCleanse’s poor support on the App Store app. For instance, if you take a look at the MacCleanse App Store page, you will see how reviews claim MacCleanse will see how 1-star reviews are predominant claiming the app will not open and that they’ve had no reply for months. Turns out, App Store features an older version 5.1.6 which had been discontinued and last updated in October of 2016 long before the release of High Sierra. The latest release from Koingo Software is version 7.0 which is a paid upgrade downloaded from their website. No wonder users are having so much trouble with the app. If you have run into similar issues with MacCleanse and your trust has been undermined, then your best way out of this is to contact Apple Support with a refund request. As for those of you who are after the features, there is a number of applications to choose from. Check out our other reviews to see the top picks. Koingo Software’s MacCleanse is a promising application with a respectable set of features that are bound to make managing your Mac less of a chore. In spite of strong feature selection, extensive range of settings and automation capabilities, MacCleanse comes with dramatically underwhelming support and unreliable upgrade model, which spoils what would have been a worthy deal.